Use the Studio E Edgewater 10-5/8 in. x 10-5/8 in. 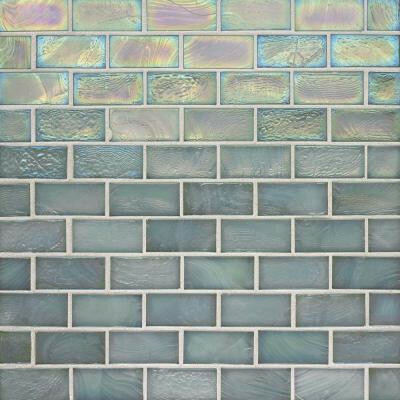 Abalone Glass Mosaic Tile to help add style to your decor. Featuring a textured, high-gloss finish, this glass tile is frost resistant for indoor or outdoor applications and marginally skid resistant to suit your needs. This beautiful tile has an abalone blue color and is suitable for medium-duty residential floors, including kitchens, halls, balconies and terraces. You can buy this product in our internet market. We will be glad if you make the right choice.